Your loved one’s touch forever in a rose gold charm. With a fingerprint so realistic you’ll think she just removed her finger from the metal. Don’t settle for less than Dimples High Definition technology to create a treasure you’ll cherish for a lifetime. 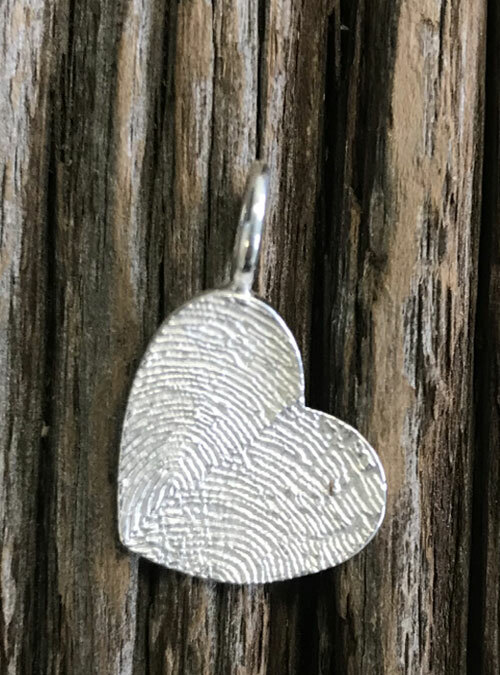 Your loved one’s fingerprint in high def on a heart shaped rose gold charm approximately 19 mm in length and width (about the size of a nickel).